Toy Recalls seem to be a part of life these days. Kids love playing with toys, but what if they're playing with something dangerous? Here are the lastest toy recalls and some toy safety tips. Kids love playing with toys, but what if they’re playing with something dangerous? As a parent you want to make sure that you only allow your children to have toys that are safe. For this reason it is important that you keep up with the recent toy recalls, and already in 2009 there have been quite a few. Here we are going to update you with some of the newest toy recalls for 2009 and also provide you with some safety tips for toys that will help you choose only the safest toys for your children. Just a couple of weeks ago Tupperware did a voluntary recall on their toy maracas. There are small parts inside of the maracas and if the toy breaks, it poses a choking hazard to smaller children. The handle also may possibly be a hazard that may cause suffocation in small children as well. Both the blue and the red maracas that have yellow handles have been recalled. The company will provide you a gift certificate or refund if you simply return them to the company. State Farm had some cute Good Neigh Bears that they were giving out through their State Farm agents. However, they have recently done a voluntary recall on these bears. There have been problems with the eyes coming off the bears, which can be a chocking hazard. If you received one of these bears, you’ll want to get rid of them if you have smaller children. You can get more info by visiting State Farms website: www.statefarm.com. Several toys from Infantino have been recalled on a voluntary basis. The Infantino Lil’ Chef Set, the Infantino Tag Along Chime Trio, and the Activity Stacker have all been recalled. They have metallic fabric on them which has been reported to come off posing a threat to children. These toys have been sold at Wal-Mart, Babies "R" Us, Meijer, Target, and similar stores. If you have these toys, they should be taken away from your kids. You can call Infantino and they’ll give you a replacement product from the company. If you’ve purchased any stuffed toys from Old Navy – beware. In February they announced a voluntary recall of several of their stuffed toys. The Pink Striped Dove, Brown Penguin, Brown Plaid Creature, Hot Pink Creature, Dark Pink Rabbit, Brown Reindeer, Light Pink Rabbit, Grey Dog, and White Dog have all been recalled. They problem is that the eyes can come off and cause a choking hazard. You can take the toy back to an Old Navy store for a refund and if you do so before the 1st of July you’ll also receive and extra $5 coupon for store use along with the refund. Of course these are just a few of the toys that have already been recalled in 2009. Some of the others include toy tool sets from Disney, a variety of toys from the CBB group, Pure Fishing’s fishing games, toy boxes from Lakeshore Learning Materials, and more. To keep up on the latest recalls and for more information on recalls you’ve heard about, visiting http://www.cpsc.gov/cpscpub/prerel/category/toy.html is a great idea! Now that we’ve updated you on some of the latest toy recalls, it’s important that you know some great tips for toy safety. After all, sometimes you can avoid a problem if you just know what kind of toys to look for when you are shopping. Some times you may be able to spot a toy that will have a problem if you are familiar with toy safety. So, here are some important toy safety tips to remember that will help you choose the safest toys for your children and some tips on toy safety at home too. – Tip #1 – Avoid Toys with Small Parts – As you probably notice, many toys that get recalled have problems with small parts that can be choking hazards. When you are purchasing toys for your kids, look over the toys carefully. Are there any small parts that come with it or parts that may easily fall off and present a choking hazard? If so, don’t purchase this toy for your kids. – Tip #2 – Avoid Harsh Edges – Some toys can be dangerous because of the edges on them. Ensure the toys you get have rounded edges that can’t scratch your child or accidentally poke them in the eye and cause some damage. – Tip #3 – Check into Toy Materials – Check to see what materials or substances are used in construction of the toys you are purchasing. Make sure that they don’t have toxins in them and ensure that the paint is not lead based. You don’t want to give a toy to your child that ends up being toxic or dangerous. – Tip #4 – Keep an Eye on Kids When Playing – Especially for kids that are quite young, you need to be watchful while they are playing. It is not a good idea to leave kids with toys unsupervised. 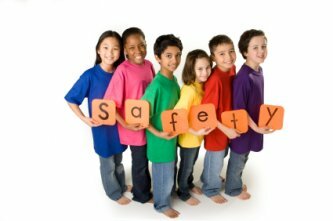 If you are there with them, you can make sure that they are playing safely and that nothing bad happens to them. – Tip #5 – Periodically Take Inventory of the Toys – Even great toys wear out. Check through the toys your kids have from time to time. Make sure they are not starting to crack, break, or have other problems that may make them dangerous. If they are broken or show signs of too much wear, it’s a good idea to throw them away before your child gets hurt. The safety of your children is very important. This includes making sure their toys are safe. Keep these tips in mind and stay informed on current toy recalls. This way you can be sure your child is only playing with toys that are safe. If US was concern about lead posion (our children) we would stop using China for toy manufacture. I know we are greedy love cheap labor. Teen Depression: Is it More than “Just the Blues”?